Our Happy New Year fortune cookies are full of predictions for the year ahead. What will 2016 bring you? Love, wealth, travel, new friendships ... open your fortune cookie to discover the answer! 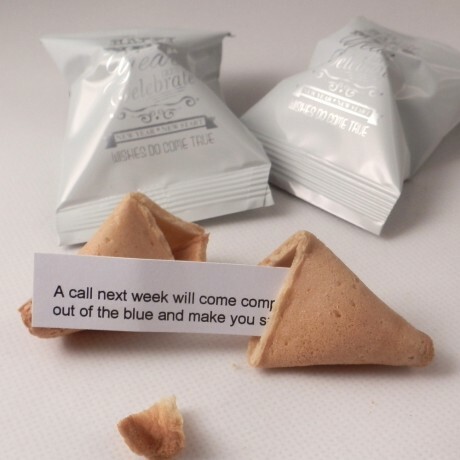 Our personalised fortune cookies also include your own message which we will print on the reverse of the message slip inside the cookie. You tell us the message you want to put inside your New Year Fortune Cookies and we will bake them with your own special greeting inside. Perfect for unusual Christmas gifts and for corporate New Year parties! Message length: Your personalised message should have a maximum length of around 120 characters and is printed across a maximum of three lines. Your approval of the artwork: We will produce the artwork for your message slips and email you a proof to approve before we produce them. Artwork will be emailed to you within 48 hours or two working days for orders placed over the weekend. Last date for orders is 15th December. 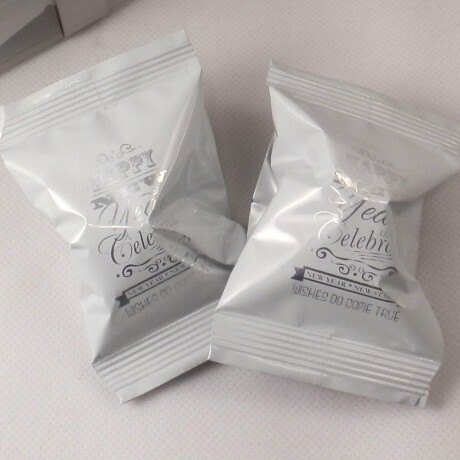 The fortune cookies are fat free and contain no artificial colouring or preservatives, no animal products and no nut products. 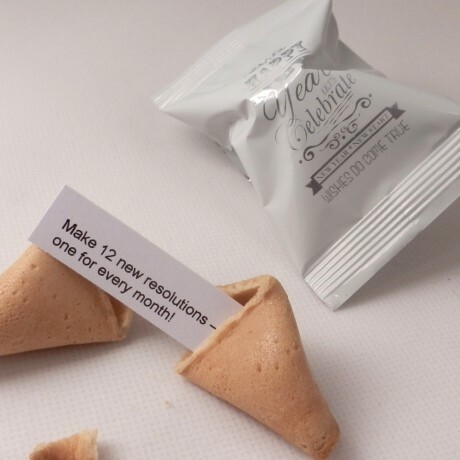 Shelf life: The fortune cookies are individually foil wrapped and will stay fresh for eight months. This product is dispatched by High Tea to High Table. Please note: this item has special delivery requirements so £10.00 is added to the delivery charges indicated below.